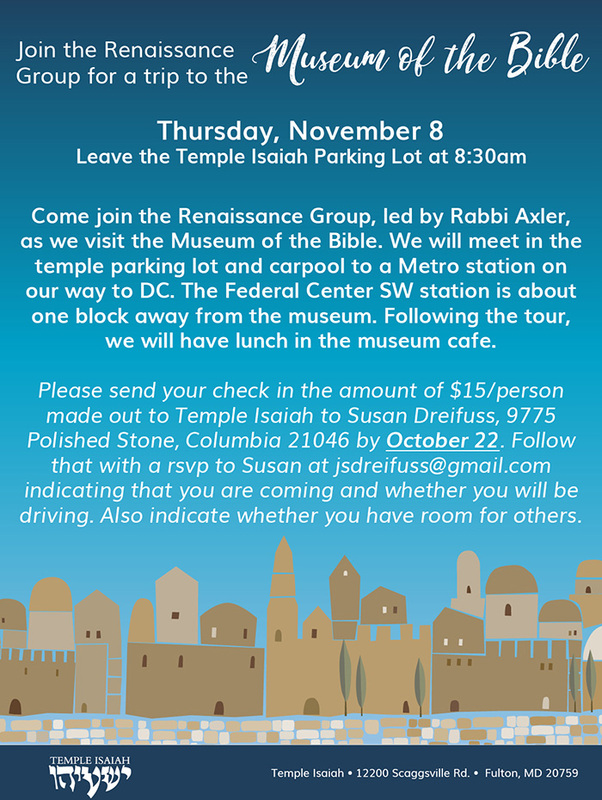 Come join the Renaissance Group, led by Rabbi Axler, as we visit the Museum of the Bible. We will meet in the temple parking lot and carpool to a Metro station on our way to DC. The Federal Center SW station is about one block away from the museum. Following the tour, we will have lunch in the museum cafe.